The time to place gambling bets online on bowl games is now as bettors and sports betting sites alike are ready to dive right in to the collegiate postseason. 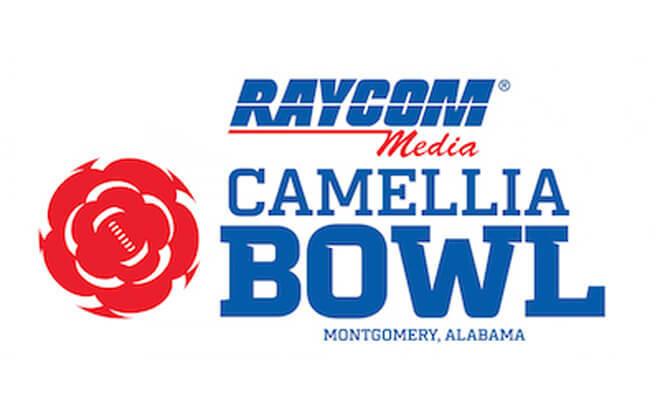 One of the more interesting matchups of the weekend is the Camellia Bowl pitting the Arkansas State Red Wolves against the Middle Tennessee Blue Raiders. It’s an intriguing matchup that is offering some appealing action. Let’s take a look at what NCAA bookmakers have to say about one of the first bowl games of the postseason. The Red Wolves turned in a 7-4 regular season performance this year, which gave way to a 3rd place ranking in the Sun Belt conference. Unequivocally, this Saturday’s matchup will be the biggest game of Arkansas State’s season. Had it not been for a weather-induced cancellation, the Red Wolves early-season matchup against the then-ranked No. 16 Miami Hurricanes might have been equally important. Arkansas State will be looking for a bit of a rebound after closing out the season with a 32-25 loss to the unranked Troy Trojans. Nevertheless, the latest sports betting tips and news are painting the Red Wolves as the favorite this weekend. If for no other reason than the fact that Arkansas State has an advantage, numbers wise, over the Blue Raiders. They also have a better record as well. For clarification; the Blue Raiders offense isn’t as good as Arkansas State’s since Middle Tennessee is putting up 24.8 points to the Red Wolves’ 38.5. Yardage wise, it’s very much the same story as the 396.8 yards Middle Tennessee is gaining is significantly less than the 497.7 the Red Wolves are putting up. Additionally, while things on defense aren’t as lopsided, the Blue Raiders are still not gaining any leverage. Middle Tennessee is giving up 24.3 points per matchup while their opponent is giving up 24.9 themselves. The Blue Raiders strived for greatness this season but settled for mediocrity as the program would go on to finish the season with a 6-6 record to finish 3rd in the C – USA – East division. Finishing the year with a .500 record is not the way you’d like to go out. Luckily for Middle Tennessee, this year’s Camellia Bowl gives them the opportunity to either rise above or fall below that fated mark. Unlike the Red Wolves, the Blue Raiders were able to close out their regular season on a nigh note by defeating the Old Domino Monarch decisively, 41-10. The latest sports betting tips indicate that the spread is a second-best option behind the money line. The odds are somewhat even on the money line, making it appealing for players looking to back the favorite. Neither team has a great ATS record as the Blue Raiders are 5-7 against the spread this season while the Red Wolves are 6-5 against the spread themselves. Obviously, this doesn’t inspire a whole lot of confidence in players looking to bet the spread on the Camellia Bowl. However, in lieu of a good spread line, players can capitalize on a great over/under line. Both teams sport capable offenses and mediocre defenses.